Glorious Five entitled Lil Prinz (2001). In 2009, he signed a record deal with Banky W.’s imprint Empire Mates Entertainment. His work and contribution to the Nigerian Music Industry has earned him several achievements, including a BET Awards, a MOBO Award, The Headies Awards And more.. He was ranked 5th on Forbes and Channel O’s 2013 list of the Top 10 Richest/Bankable African Artists. In February 2014, Wizkid became the first ever Nigerian person to have over 1 million followers on Twitter and still the most followed in twitter. In 2015 he was rated the 5th most famous person in Nigeria by T.I.N MAGAZINE and also among the top ten most influential Nigerian singers. Wizkid was born on July 16, 1990 in Surulere, a residential and commercial area of Lagos. He comes from a large family and is the last of six children. In an interview with Tim Westwood, he said that his father has three wives. Wizkid started singing at age 11, releasing a 7 track album entitled Lil Prinz (2001). During an interview with Adesope of Factory 78 TV, Wizkid described his life in a nutshell. He said that he formed a group called the Glorious Five with a couple of his church friends. The group successfully dropped an album prior to dismembering. Wizkid later met OJB Jezreel, a record producer who prevented him from recording for a year. While visiting Jezreel’s studio frequently, he watched 2 Face Idibia record Grass 2 Grace and watched Sound Sultan record Jagbajantis. A year later, Wizkid started recording. His first song featured OJB Jezreel. The song was met with great reception throughout Surulere. Wizkid cited Naeto C as one of the people who mentored and coached him while he was 15 years old. Wizkid also told Factory 78 TV that his parents weren’t receptive of his music from the onset. He had to work hard and spent lots of time in the studio in order to gain his father’s trust. Wizkid has a great relationship with Banky W. He told Factory 78 TV that Banky W was one of the first people that believed in him. He said that he and Banky became friends prior to starting a professional relationship. He co wrote Banky W’s “Omoge You Too Much”, a song off the The W Experience album. In 2006, he collaborated with Naeto C and Ikechukwu. In 2009, Wizkid became a household name within Nigeria’s musical landscape; he was featured on M.I’s “Fast Money, Fast Cars” and Kel’s “Turn by Turn”. In 2010, Wizkid began recording his debut studio album Superstar (2011). On January 2, 2010, he released “Holla at Your Boy” as the album’s lead single. The single won the Next Rated category and was nominated for Best Pop Single at The Headies 2011. The music video for “Holla at Your Boy” was nominated for “Most Gifted Newcomer Video” at the 2011 Channel O Music Video Awards. The music video was also nominated for “Best Afro Pop Video” at the 2011 Nigeria Music Video Awards (NMVA). On April 2, 2010, Wizkid released “Tease Me/Bad Guys” as the album’s second single; it was initially released as a freestyle “Don’t Dull”, the album’s third single, was released on December 6, 2010. The album, recorded in English and Yoruba, was released on June 12, 2011 by Empire Mates Entertainment. It incorporates elements of R&B, Dancehall, and Reggae. Wizkid collaborated with a wide range of music producers, including E-Kelly, Jay Sleek, Shizzi, DJ Klem, Sunny Nweke, Q-Beats, and Samklef; the latter produced 6 tracks on the album. The album features guest appearances from Banky W, Skales, D’Prince, and Wande Coal. It was initially scheduled for release on February 14, 2011, but was later pushed back. On June 12, 2011, Wizkid hosted an album launch party at the Expo Hall of the Eko Hotel and Suites. The album launch party featured performances by Banky W, Skales, Tuface Idibia, Samklef, Wande Coal, D’Prince, Olamide, eLDee, Jesse Jagz, Ice Prince, Lynxxx, and Seyi Shay. Superstar garnered “Best Album of the Year” at the 2012 Nigeria Entertainment Awards, and was nominated for “Album of the Year” at The Headies 2012. In 2012-2014 Wizkid is currently working on his second studio album Chosen, which is scheduled to be release in 2014. According to MTV Base, the album has suffered from a pushed back release date. Wizkid posted a photo of what is believed to be the unofficial tracklist of his upcoming project. The upcoming album will feature guest appearances from Don Jazzy, Banky W, Femi Kuti, Seyi Shay, Efya, and Olamide. Moreover, the upcoming album allegedly houses 12 tracks. “Jaiye Jaiye” and “Talk” have been released since Wizkid uploaded the aforementioned photo onto his Twitter account. On July 29, 2013, Wizkid released a song titled “Drop” featuring American rapper Wale. The song was produced by Legendury Beatz. There’s still no word on whether the song will be on the upcoming album. In addition, “Azonto”, the single many people thought was the first single, wasn’t included on the aforementioned tracklist. A snippet of the “Don’t Dull Remix”, featuring Akon, was leaked to the public in 2011. Prior to announcing plans for a second studio album, Wizkid had plans of releasing a mixtape in April 2013. In an interview with Ok!Nigeria TV at Disturbing London’s Headquarters in London, he said that the mixtape would be released in April. He also said that the mixtape would feature Wale and Tinie Tempah. 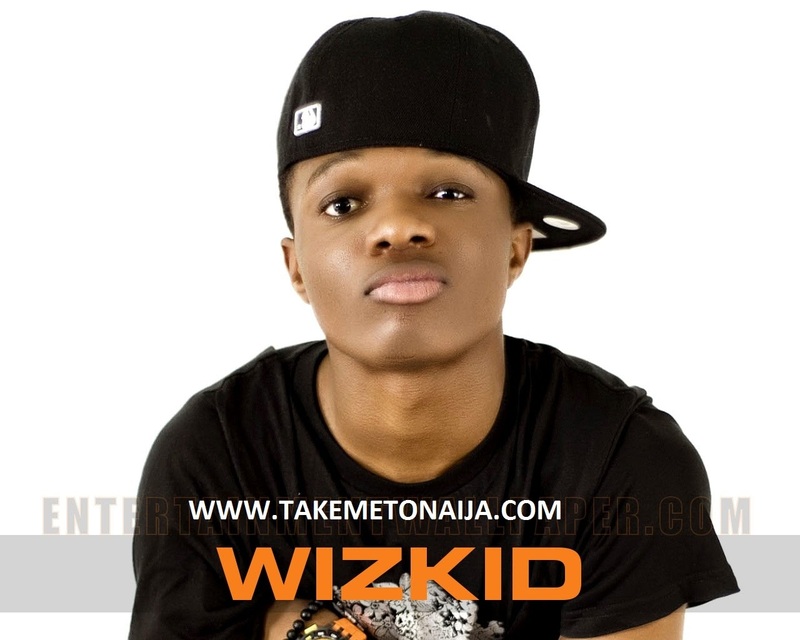 Wizkid later announced that he would be releasing his second studio album on June 12, 2013. In an interview with HipTv, Banky W revealed the album’s title, and commented on the delayed album. In addition, he gave an estimated time-frame for the album’s release. On May 2, 2013, Wizkid and Star Boy Entertainment released the album’s lead single “Jaiye Jaiye” featuring Femi Kuti. Wizkid told Showtime Celebrity that he collaborated with Femi Kuti in order to prevent people from depicting him as an artist whose lyrics revolve around girls, cars, and materialistic things. “On Top Your Matter” was released as the album’s second single on October 26, 2013; it was produced by Del B. The music video for the single was released on February 13, 2014; it was shot and directed in South Africa by Sesan. In July 2014, Wizkid revealed his collaboration with Barbadian singer Rihanna during a visit to The Beat 99.9 FM studio in Lagos. After releasing their compilation album Empire Mates State of Mind, EME acts toured the United States. The tour kicked off on July 4, 2012 and ended on September 2, 2012. EME acts performed in several different cities, including Houston, Dallas, Toronto, Vancouver, New York City, Providence, Calgary, Atlanta, Washington DC, and Chicago. Wizkid toured London in 2012 and performed at the HMV Apollo on June 4, 2012. On November 12, 2012, he performed at the BBC Radio 1Xtra Live 02 Academy in Brixton alongside Trey Songz, Tulisa, Kendrick Lamar, and Angel. On October 17, 2013, Wizkid performed at the 2013 edition of Felabration, a yearly concert dedicated to the late Fela Kuti. On November 2, 2013, he performed at the Guinness Colorful World of More concert alongside D’banj, Tiwa Savage, P-Square, Davido, Ice Prince, Burna Boy, Olamide and Phyno, among others. The concert took place at the Eko Convention Centre of the Eko Hotels and Suites. On November 23, 2013, Wizkid performed at the Guinness Big Eruption Concert. Wizkid was invited as a special guest for some shows in Tinie Tempah’s tour of the UK in 2014. In 2012, Wizkid signed a one year endorsement deal with Pepsi allegedly worth $350,000 U.S dollars. He traveled to Beirut, Lebanon with Tiwa Savage for a Pepsi commercial shoot. On May 28, 2013, Premium Times reported that Wizkid signed a one year deal with MTN Nigeria. Moreover, the news source reported that Wizzy’s Pepsi contract was renewed for another two years. On October 23, 2013, Bellanaija reported that Wizkid signed an endorsement deal with Guinness for the “Guinness World of More” concert. The concert was held at the Eko Convention Centre of the Eko Hotel and Suites in Victoria Island, Lagos, on November 3, 2013. On March 5, 2013, Charles Mgbolu (a writer for Vanguard) reported that Wizkid established his label imprint Star Boy Entertainment. During an interview with Silverbird Television, Wizkid told Yvonne Vixen Ekwere that he planned on signing new acts to the label. Wizkid told Showtime Celebrity that he established his own record label in order to give up-and-coming artists a platform to showcase their talent. On April 17, 2013, Wizkid signed Maleek Berry to Star Boy Entertainment. Wizkid and Maleek Berry’s work credits include “Lagos to Soweto” and “The Matter”, among others. On April 29, 2013, Premium Times reported that Wizkid signed producers Uzezi Oniko and Okiemute Oniko, popularly known as Legendury Beatz, to his imprint. He made the announcement via Twitter. On May 9, 2013, he unveiled photos of himself with the aforementioned acts signed. On August 20, 2013, Wizkid signed recording artist L.A.X to the label. He made the announcement moments after debuting the music video for “Caro”, the label’s first official single. In an interview with iCR8Media, Wizkid said that Star Boy’s first compilation album will drop in 2014. He also said that Maleek Berry will drop an album in 2014. In February 2013, there were immense rumors surrounding Wizkid’s “breakup” with E.M.E. Rumors were primarily derived by fans after Wizkid tweeted a subliminal message and tweaked his Twitter account. Wizkid allegedly moved out of the E.M.E mansion in Lagos and acquired his own home in the Lekki Phase 1 area. Prior to the outpouring of rumors, it was alleged that Banky W pacified fans by assuring them that nothing was amiss. Furthermore, it was alleged that troubles within E.M.E started as early as the E.M.E all stars concert. It was also alleged that money was at the center of the controversy. On February 20, 2013, Information Nigeria reported that Wizkid was allegedly getting 25 percent from every performance, while Banky W and Segun Demuren were getting 50 percent. Osagie, Wizkid’s former manager, was allegedly getting the remaining 25 percent. After firing Osagie and hiring Godwin Tom (whom he parted ways with in April 2014), Wizkid allegedly wanted a 50-50 share with Banky W. The source allegedly revealed that Banky W refused to accept Wizkid’s proposal. Moreover, it was alleged that Banky W wanted to find a manager for Wizkid who would accept 25 percent. It was also alleged that things started getting sour as a result of both parties disagreement. Furthermore, it was alleged that Wizkid was doing three shows weekly and bringing in close to N24 million monthly. On April 30, 2013, Nigerian Entertainment Today reported that Wizkid and E.M.E reunited after contract negotiations. The news source also reported that Wizkid performed alongside label mates Shaydee and DJ Xclusive in The Republic of Benin. On June 19, 2013, Wizkid and his management were invited by men from the Nigerian Police Force for questioning. Duping charges were leveled against them by a group of Unilag students. The students claimed that Wizkid agreed to perform at the UNILAG Sports Centre on May 21, for a total sum of N500,000. They also claimed that he didn’t show up for the show, and didn’t return their money. After conducting a thorough investigation, Police determined that Unilag students were bamboozled by con artists pretending to be affiliates of E.M.E. In the aforementioned interview with Showtime Celebrity, Wizkid commented on the events that transpired after the accusations. He told the media that the police were investigating the case. The masterminds behind the impersonation were later detained by law enforcement agents in Lagos. In addition to duping Unilag students, the culprits set up fake email and social media accounts. Wizkid also elaborated on how one can go about booking him. On June 15, 2013, Wizkid was involved in a non-life threatening car accident along the Lekki-Epe Expressway in Lekki, Lagos. According to an article posted on Silverbird Television, Wizkid was hospitalized for a minor concussion resulting from the wreck. According to eyewitness reports compiled by MTV Base, Wizkid’s Porsche Panamera was spotted speeding down the road; the car’s front tires blew out and resulted in the driver of the vehicle losing control and crashing into a road barrier. Eyewitness reports also added that the car’s airbag suspension system deployed on impact, shielding Wizkid and the driver instantaneously. At the time of the incident, Wizkid and other passengers in the car were returning from the Soundcity Nokia LumiaBeat Party. The accident allegedly occurred around 3:30am in front of the GET Arena. As a result of the wreck, the car was badly damaged. Pictures of the damaged vehicle surfaced on Instagram and Facebook. Vanguard reported that Wizkid acquired a Porsche Cayenne two weeks after the accident. He posted pictures of his new acquisition onto his Instagram page and tagged the pictures with the caption “#Blessed”. On August 22, 2011, Nigerian Entertainment Today reported that Wizkid fathered his first child at the age of 21. After a thorough investigation, they concluded that Wizkid impregnated an undergraduate student named Oluwanishola Ogudugu. According to their reports, the girl, a student at the University of Legon in Accra, resides in Magodo, Lagos. Moreover, they added that multiple sources familiar with the “baby mama” and her family told them that they knew about the relationship between both parties. When the story broke out, close friends and associates of Wizkid didn’t confirm the story due to DNA results that were pending at the time. Wizkid broke his silence on the story in several interviews. In an interview with a Nigerian Entertainment Today editor, Wizkid denied having a child. In another interview held at Ogudu-GRA in Lagos, Wizkid said that he really doesn’t want to find himself in that peculiar situation. A week before denying the aforementioned allegations, Wizkid tweeted from his official Twitter handle. In December 2012, he denied the baby scandal during an interview with Nonye Ben-Nwankwo of The Punch. In October 2013, Wizkid uploaded a picture of he and his 2 year old son, Boluwatife Balogun, onto his Instagram account. The photo confirmed the alleged rumors and allegations that were harbored for 2 years. The photo also vindicated Nigerian Entertainment Today, the news source that first covered the story. He really is a scandalous celebrity too many scandals to read.